We are happy to invite you to visit our booth at IECIE Shenzhen eCig Expo which will be held April 14th – 16th at Shenzhen Convention and Exhibition Center. IECIE-Shenzhen Expo has become the most influential e-cig expo in the world and it is our pleasure to be part of it again. We will present our top selling e-liquid line GLAM Vape which is distributed all across the Europe and Middle East, and with this Expo, we are looking forward to open door to China market. If you haven't tried GLAM flavors at one of the previous exhibitions, this is your chance to come and see by yourself why are these tasty e-liquids choice number one to vapers around the world. 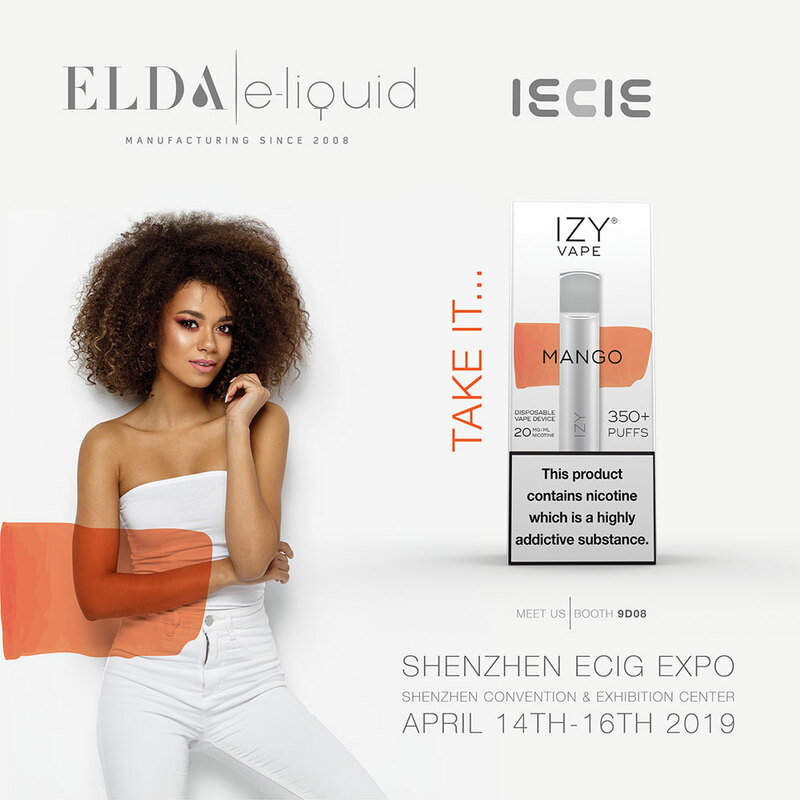 Elda is always a step ahead of setting trends, and we are pleased to present for the first time IZY Vape disposable POD with nicotine salts. Delicious flavors mixed with perfect nic salt strength in elegant and descrete device will provide you the best vaping experience.